Jugger Drum is an app for counting time and points of a Jugger match, in addition to replace the drummer (or stone thrower) if a person for this job is missing. For each drumbeat a sound is played. 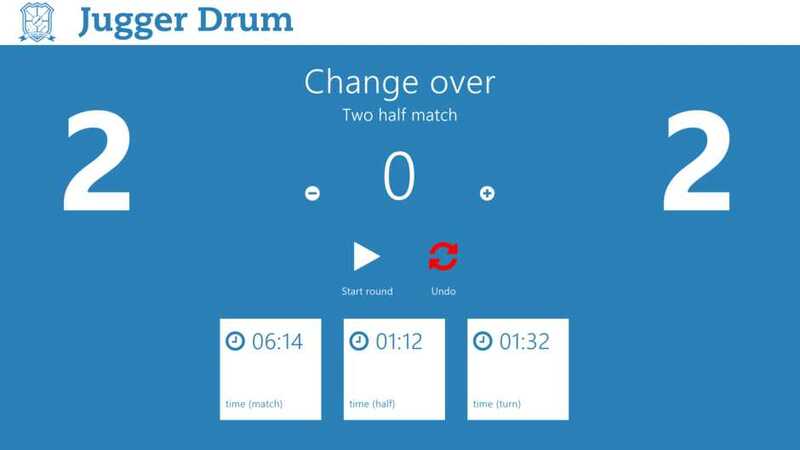 Different game speeds (1, 1.5 or 2 seconds per drumbeat) and other match customizations are supported by the app. 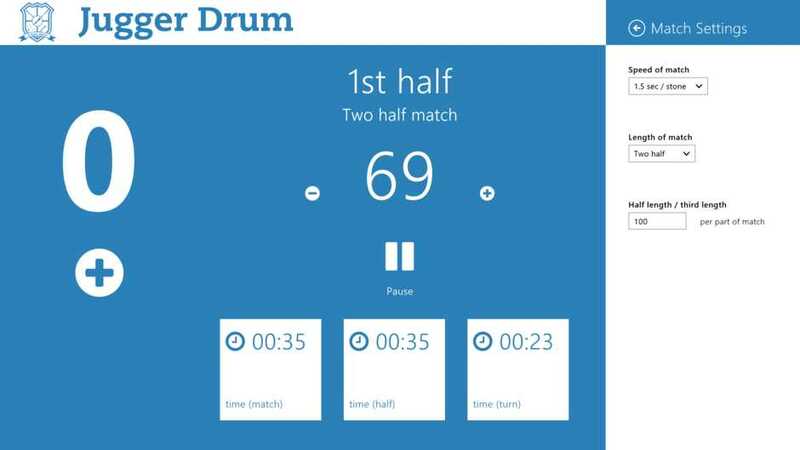 Jugger Drum is the only Jugger based modern app for Windows 8 and Firefox OS! Jugger is a sport that was inspired from the 1989 movie The Salute of the Jugger, released in the USA as The Blood of Heroes. The writer/director David Webb Peoples invented Jugger especially for the movie. The original transformation of the game into a real sport happened in two places independently, in Germany and Australia. Supports two half or three thirds and counts time and stones. Different match customizations are possible. Supports landscape, portrait and snapped view with all functions. If the match is drawn, 'Golden Jugg' can be selected. Screenshot of the 'Golden Jugg' mode. 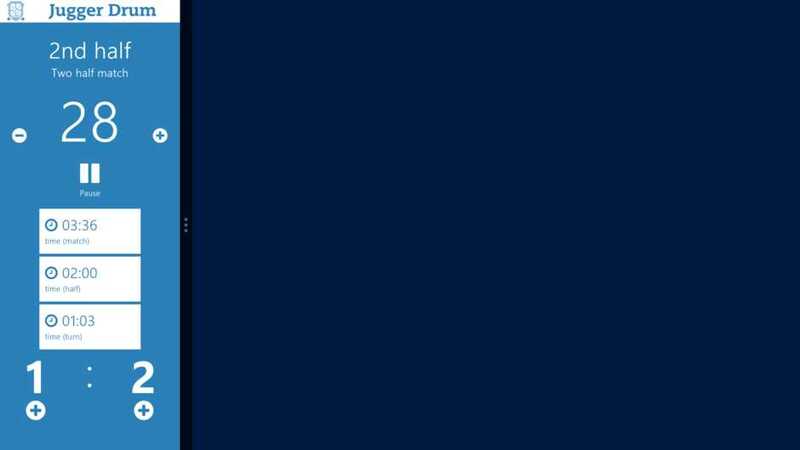 An accidental tap on 'Retake' can be undone. 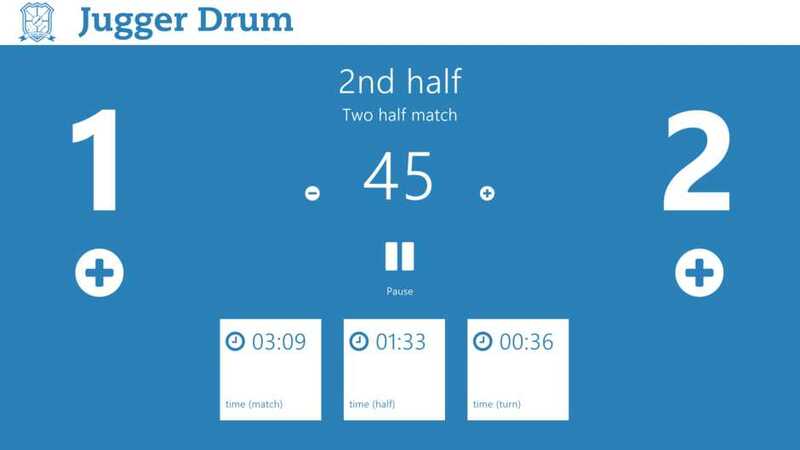 Responsible for the content and development of this web page and the app 'Jugger Drum' is Frédéric Bolvin. For support, questions and feedback feel free to contact me. 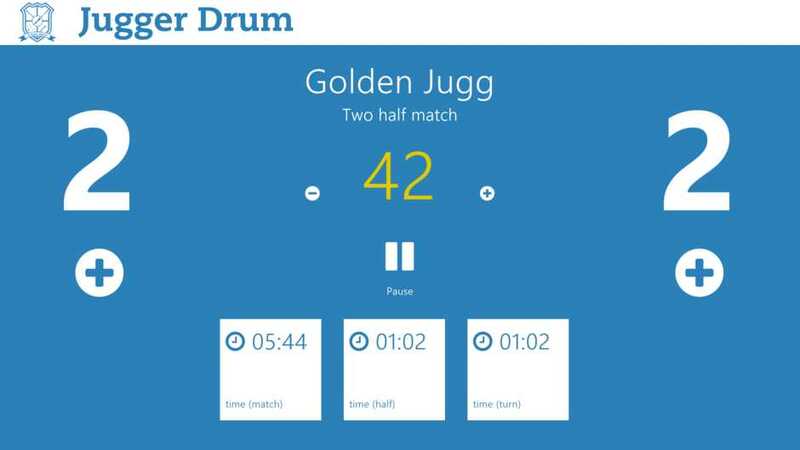 The official logo of Jugger Drum has been created by Beratungspuzzle.